On 25 July 2018, SIG SAUER officially unveiled the new SIG ASP20 air rifle. We’ve seen prototypes of this new gun before – at the SHOT Show and IWA, however this was the formal unveiling of the final production models. SIG SAUER gave an outstanding Press Launch for the new SIG ASP20. 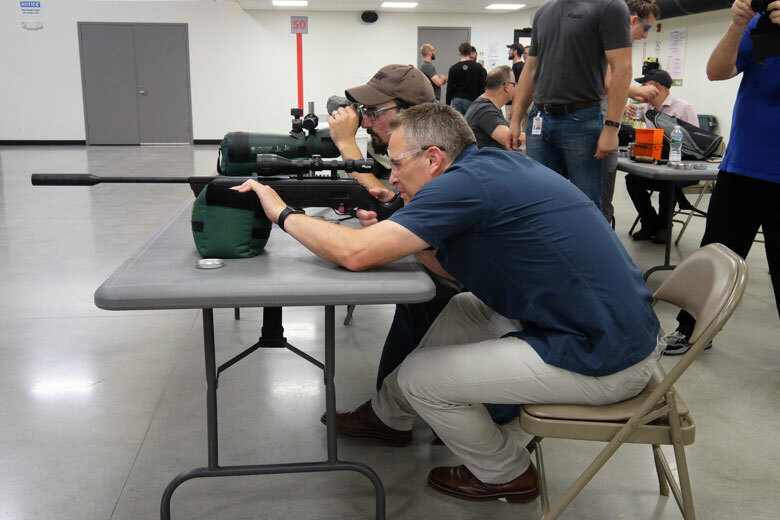 Myself and a number of other airgun journalists were welcomed at SIG’s corporate headquarters in Newington, New Hampshire. Below, Terry Doe, the editor of Airgun World magazine traveled all the way from the UK for this launch! We were given a huge amount of information on the new model and shown the manufacturing and assembly operations in great detail. Every question we asked was answered fully and directly. 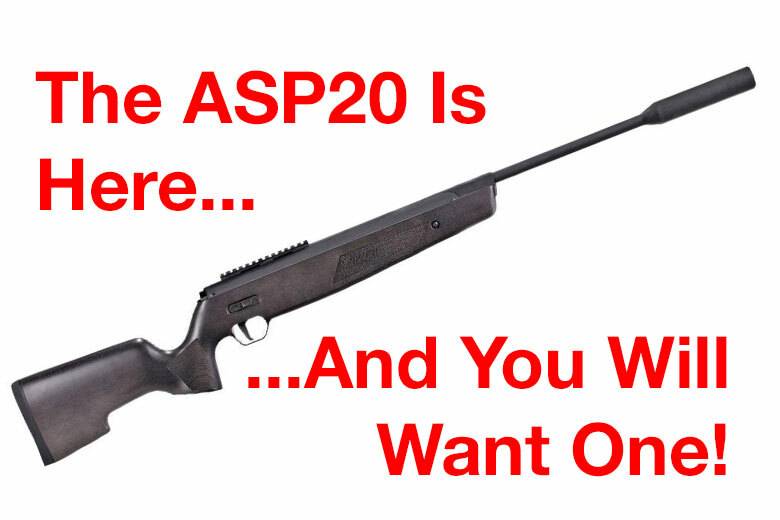 The company was not holding back about the new SIG ASP20 and for good reason. It’s obviously an outstanding new introduction! 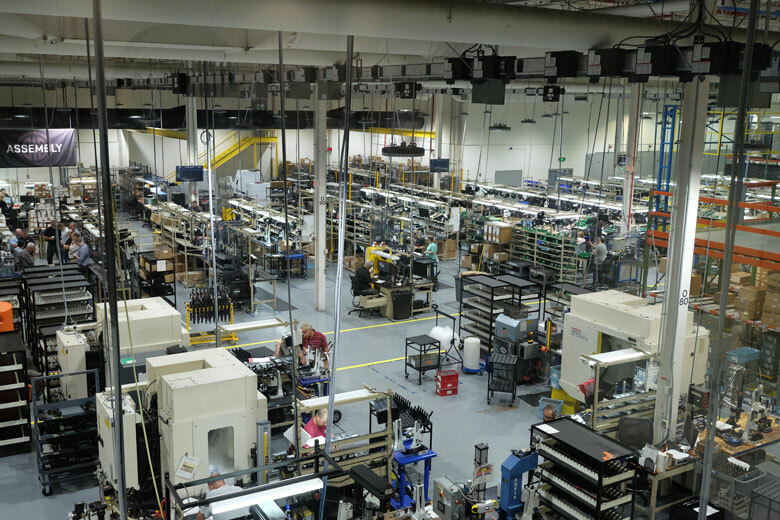 Below, the ASP20 is being manufactured and assembled in this massive, state-of-the-art facility. The SIG ASP20 is the first completely new break barrel air rifle to be completely designed and manufactured in the USA for many years – possibly the first ever. As Joe Huston, the General Manager of SIG’s airgun business said, this is definitely “the first to be designed and built in the USA by a firearms company”. 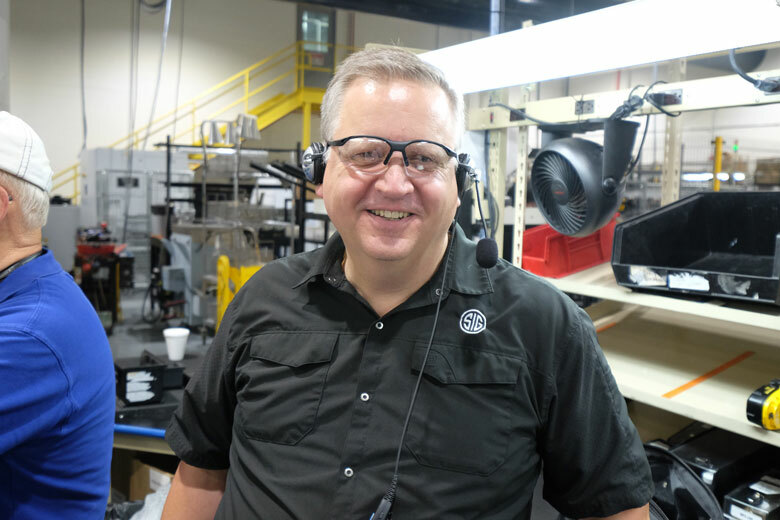 Ed Schultz, the Engineering Manager for SIG SAUER airguns, looked very pleased with his new baby as he showed us how the ASP20 is being built on the assembly line. Well, no-one would expect any SIG product to be cheap. They would, however, expect outstanding quality and reliability for the price they pay. That’s clearly what they are going to get with the new SIG ASP20! MSRP for the SIG ASP20 starts at $399 for the synthetic stock model. It climbs to $489 for the wood stock version. Both .177 and .22 calibers are available as “bare” guns and also in scope combos. But don’t worry, the combo scope is waaaay ahead of the type of scope that’s usually bundled with air rifles. 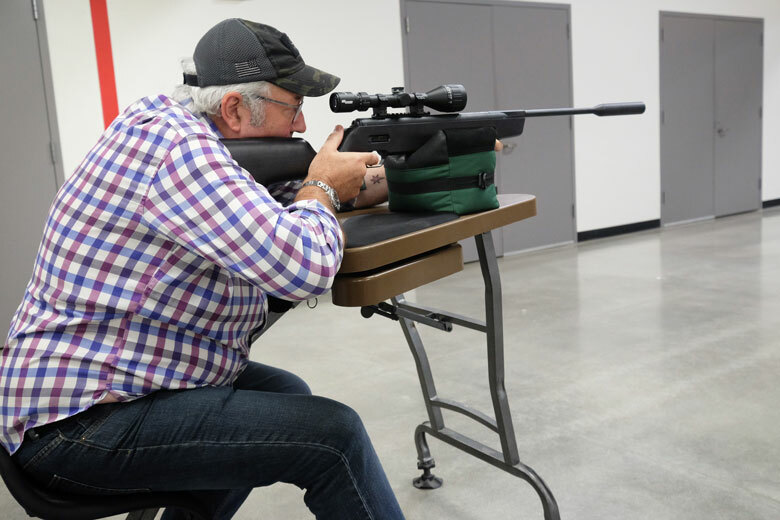 Below we see Joe Huston, General Manager of the SIG SAUER airgun division, shooting an ASP20. 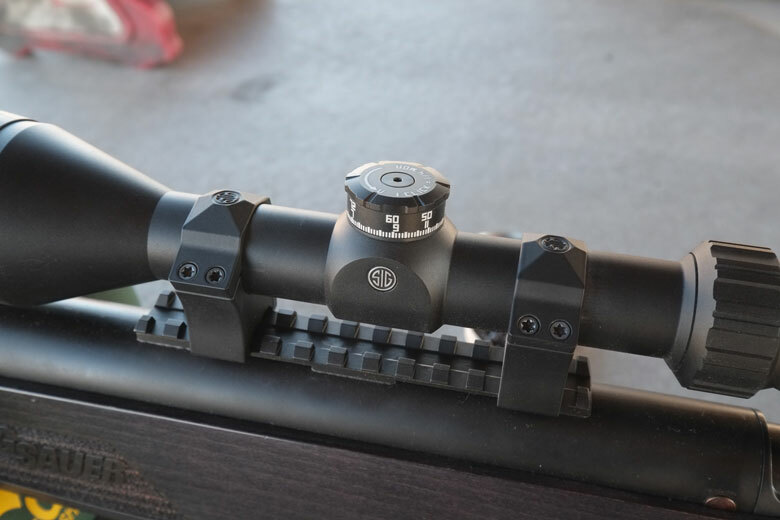 You see, SIG has also launched a companion scope that’s been developed by the company’s electro-optics division. The Whiskey 3 ASP 4-12 x44AO scope carries the company’s “infinite warranty” – a lifetime’s guarantee of service. 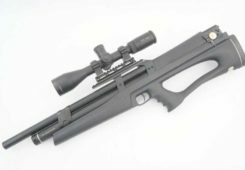 This $359 scope is airgun-rated against the reverse recoil of powerful spring/piston and gas ram air rifles. It also can be fitted with SIG Ballistic Turrets that allow the scope – once dialed-in – to be adjusted easily and simply for different ranges. The real news on price is that the SIG ASP20 will also be offered in combos with this Whiskey 3 ASP scope at significant discounts. The MSRP for the SIG ASP20 and scope bundle is just $559 with synthetic stock and $689 when wood stocked. This is clearly a major saving compared to the prices of the gun and scope, if purchased separately. The SIG ASP20 is the first model in the SIG Air Precision Line. 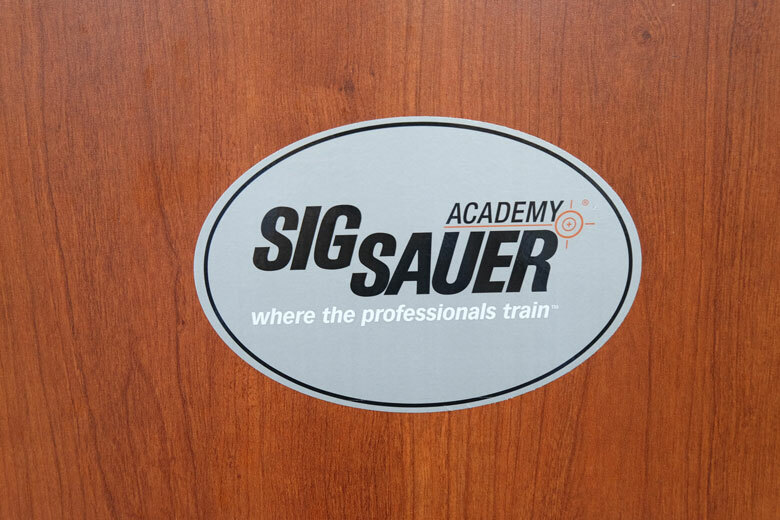 Yes, SIG Air is the new name for SIG SAUER’s airgun division.